Melbourne is striving to become a world-class liveable city. Great cities are great places to walk around. Are there road safety issues that concern you or prevent you from walking more? We want to know where you feel safe unsafe or unsafe while walking. The WalkSpot project provided the opportunity for people to share their road safety experiences with our partners in Local and State Government, to help them improve our streets for people. Central to the project was the WalkSpot map, which between 13 March and 30 April 2017 collected over 2,350 safe and unsafe spots submitted by over 1,650 people. We have complied all the results, which can be viewed in the project report. The data collected is now with our Government Partners to help prioritise walking improvements local area. The original WalkSpot project map allowed participants to add both their safe or unsafe WalkSpots across metropolitan Melbourne. You can click and view all 2,390 spots in the map below. 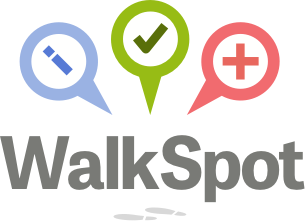 The WalkSpot project is a collaboration between Victoria Walks and CrowdSpot, enabled by a TAC Community Road Safety Grant. It aims to understand what makes people feel safe or unsafe while walking, and identify trouble spots, to help road management agencies work to make things better. Road agencies won’t be able to fix every problem, and action will take time. But the feedback from the community will help them decide what to do and where.